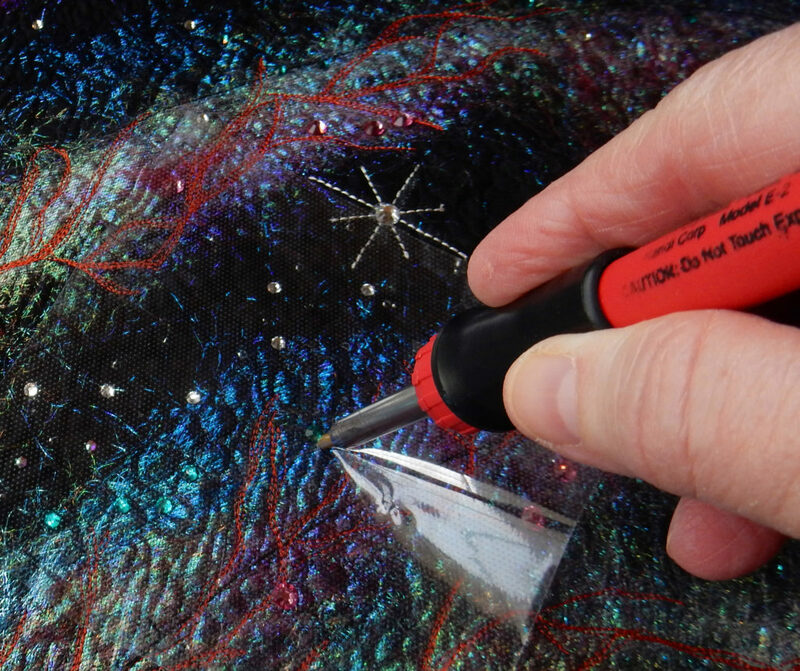 Bookmark this Tags: Deep space quilts are fun to make, Don't give up without trying something else first, Encourage new sewists and quilters, Encourage old sewists and quilters, I love comments. How interesting to learn about transfer tape! Thanks for posting about this topic. I’m working on a project that might be a great place to test it! As for the wand, when I’m not using mine, I store it wand end down in a coffee cup. It seems to work for me! Hi Terry! Thanks for the hint. It sounds like a good one. Cheers.